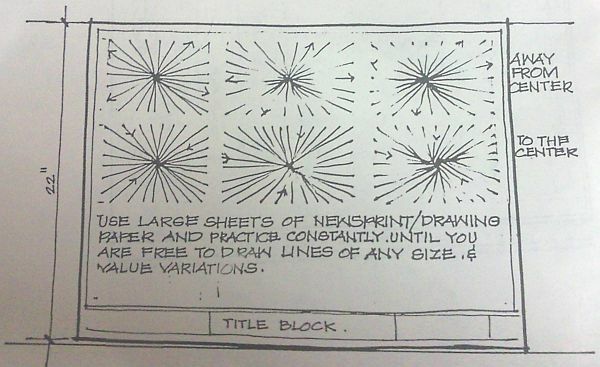 In my previous article, we discussed how important the line weights are. Now we will go ahead with necessary Line Exercises. Line Exercises is the first lesson to learn in Architecture. It helps you understand the importance of every stroke drawn by you. It helps you realize that every stroke that you draw should convey a meaning in terms of design. Here are a few things you need to do before you proceed with “Line Exercises”. After you are successfully done with the first line exercise, we will proceed to the next line Exercise with more complex patterns. 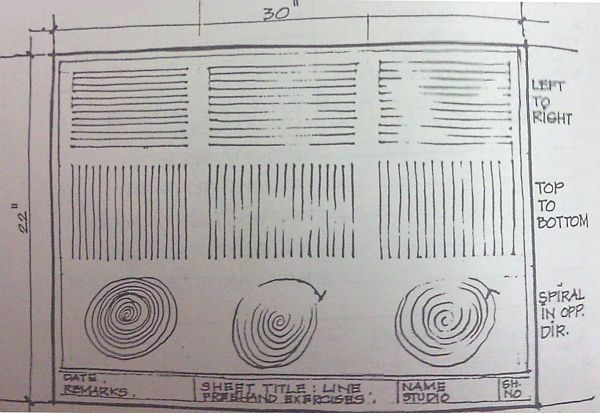 In our next article, we will discuss “Blind Contours” and also illustrate an example for practice.